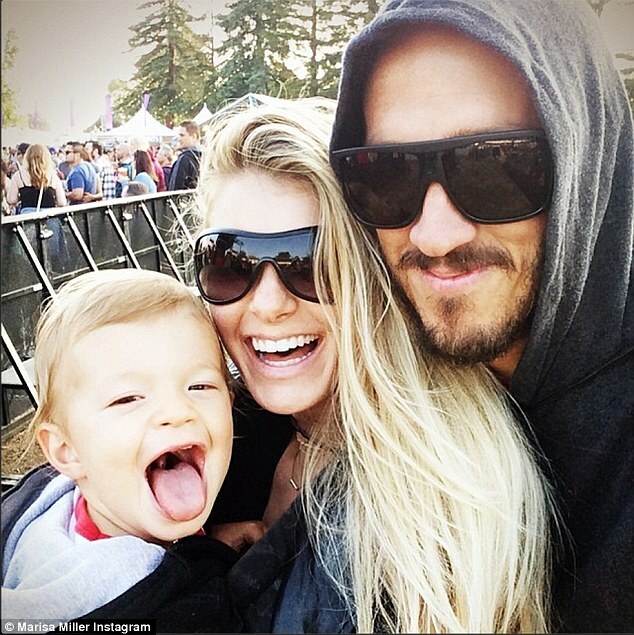 Model Marisa Miller looks hot in Bikini; She gave birth to her second baby, Grayson Lee Bazyl with husband Griffin Guess. Find out about their relationship and all. Dudes, we are back with some great news here with us today. You probably know about model Marisa Miller and Griffin Guess, right! But are you guys aware of their second baby? Yeah, you heard me right! Together Marisa and her husband Griffin gave birth to their second child. Find out how it changed their life; and alongside some of her hottest pictures in a bikini. Scroll down. Marisa Miller and Griffin Guess didn’t really date much before they decided to level up and make it official. Griffin proposed her in Mexico on a beach when the tied was about to hit. He says it was “well planned and thought out”. Likewise, they married on 15th April 2006; 2 months after dating, but they are living a pretty fabulous life now, I must say. Marisa Miller and Griffin Guess. Speaking of their first son, his name is Gavin Lee Guess and was born on 14th December 2012. As about their second child, he was born on May 29th, 2015; and they named him Grayson Lee Bazyl. The couple looks quite happy even it’s been 10 years since they married. I see most of the celebrities in the United States break off due to common disputes, but I am quite amazed how they are managing to stay alive with their relationship. Hats off to you guys! And good luck for your future. Griffin Guess is an American music producer and a manager; he owns Cartel Management and Cartel Records. Prior to his success, he started with ‘Machete’, company that produced marketing, film and music videos. This is how his journey towards producing started; and in no time, he was successful. Furthermore, he has merged with several companies in recent and that is making him so much money. Also, he represents ‘Harley Davidson’ and ‘NFL’ as a spokesperson; and Griffin has done several campaigns for the brands. If you guys haven’t checked out her pictures in bikinis, I am gonna share some of you peeps. Here you go.